Personalized gaming – Bet suggest function! 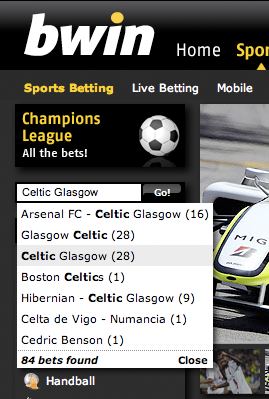 Image 1. bwin’s bet search function. I really like bwin’s (this used to be linked partypoker.com but bwin.party asked me to remove the link) new bet search function it works really well. When will we see gaming operators with a “Bet suggest function“? A Bet suggest function will based on previous player activities suggest and promote bets that are of interest to the player. An example: I like the Swedish soccer team Helsingborgs IF, and a Bet suggest function could suggest bets with Helsingborgs IF specially on match days. Another example would be bets based on where I live, for instance if Sweden is playing soccer against Denmark then it would be likely that I would want to be on that match. So start building more functions based on gaming, personal and social data!